Impressed by Cambodian history and moved by the local people’s smile faces. 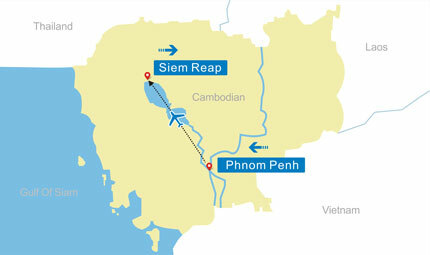 Today, you will take a flight from Phnom Penh to Siem Reap. Upon arrival in Siem Reap, you will visit the ancient capital of Angkor Thom (12th century), the South Gate (with its huge statues depicting the churning of the ocean), Bayon Temple (unique for its 54 towers decorated with over 200 smiling faces of Avolokitesvara), the Phimeanakas, the Royal Enclosure, the Elephants Terrace and the Terrace of the Leper King. 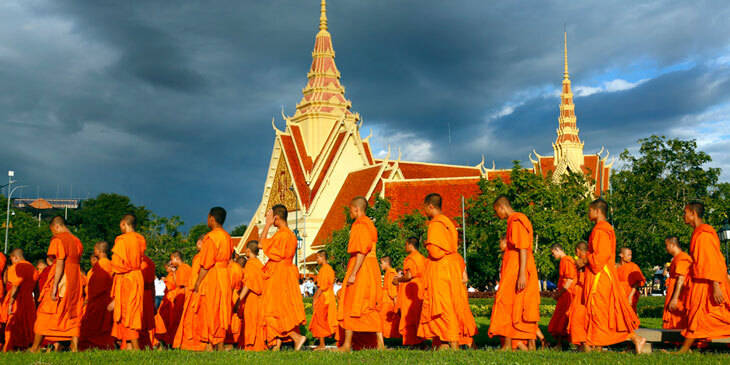 In the afternoon, you will visit the most famous of all the temples on the plain of Angkor, Angkor Wat. The temple complex covers 81 hectares and is considered by art historians to be the prime example of classical Khmer art and architecture. You will enjoy a wonderful sunset from the Phnom Bakheng Hills. Then it will be time for dinner with a show at a local restaurant before an overnight stay in Siem Reap. 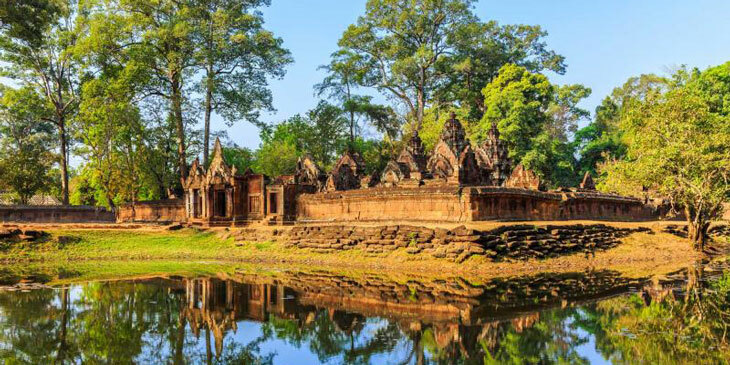 Today, you will visit Banteay Srei Temple (10th century), regarded as one of the crown jewels of classical Khmer Art. 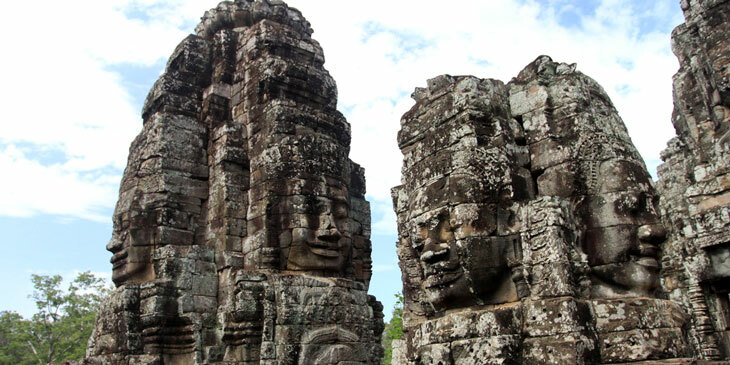 Then, you will continue your visit to Banteay Samre, which was built in the third quarter of the 12th century. You will then have lunch at a local restaurant. In the afternoon, you will visit the unique interior brick sculptures of Prasat Kravan, then see Srah Srang ("The Royal Baths") which was once used for ritual bathing. Then it’s off to Banteay Kdei (surrounded by 4 concentric walls), Ta Keo (constructed in the late 10th and early 11th century) and Ta Prohm (one of the area’s most beautiful temples). 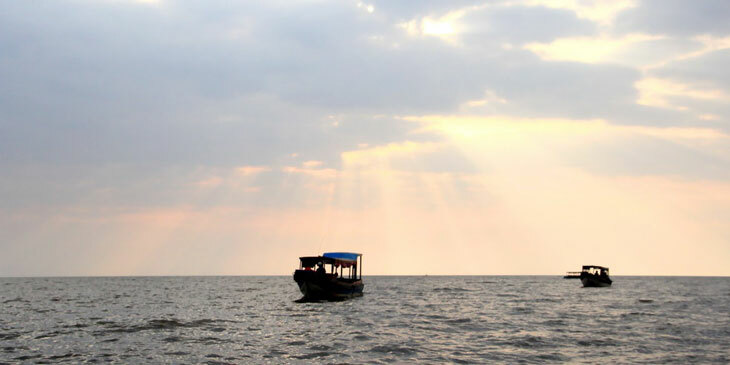 You will have an overnight stay in Seam Reap..
After breakfast, you will take a boat trip on Tonle Sap Lake to visit floating villages (complete with schools, restaurants, hospitals), and then visit the school known as "Les Artisans d'Angkor." 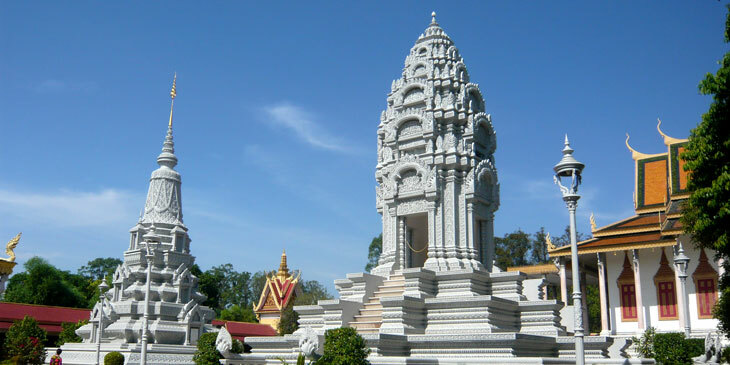 You will then transfer to Siem Reap International Airport for your departing flight.